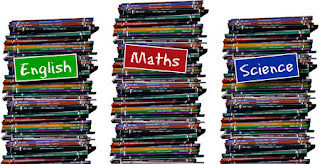 If you have been watching the news recently you will know that maths and English are now compulsory for sixth formers that have not achieved a grade C previously. This is also means that college students will be forced to study maths and English alongside their main programme (although that's nothing new). This isn't all that new or revolutionary. College students have been expected to complete Functional Skills maths and English when studying on vocational programmes for a long time. It began with Key Skills, then moved to Functional Skills a couple of years ago. What is new is the push on GCSEs. It used to be the case that students who achieved Level 2 in Functional Skills could call it a day there, as this was considered to be an equivalent to GCSE. This year, those with Level 2 are required to study GCSE English or maths until they get a C grade. This is largely a positive thing. Are employers going to know what Functional Skills means in ten years time? Yet, everyone knows what a GCSE is and how it is graded. The issue for my students are that they have worked their hardest trying to pass Level 2 Functional Skills, and are now being told that that still isn't enough. For them, achieving level 2 was hard work, and the carrot that kept them going was that it meant the end of English and maths. Now the government have argued that Functional Skills isn't as valuable as GCSE and our young people are being disadvantaged by not studying the full GCSE. Another factor to throw into the mix is the ambiguity of different GCSEs. Learners at my college will now be studying on the IGCSE First language. This is arguably much easier for learners as IGCSEs were orginially created for learners with English as a second language (hence the name International GCSE). There are teachers who claim that IGCSEs are harder, but the flock of schools offering IGCSEs, or both GCSE and IGCSEs (as a back up) is growing massively, leading me to believe it really is much easier to get the grades. So where are we heading? Students who can't achieve a C grade are going to continually be 'working towards' this grade (and each time they get a D will reflect on the teacher). Some learners may get a grade C in IGCSE whereas they would have achieved a D or E in English GCSE. If I were to make a predicition, I would say that the IGCSEs will be made more difficult, or be scrapped altogether, or, Universities will start to favour the full GCSE putting schools and colleges off teaching the IGCSE. To me, it seems correct that students need to continue to work on English and maths (it keeps me in a job). However, there may be students who just aren't able to reach the C grade. To be honest, there are staff at my work that have a level 2 Functional Skill that I don't think could achieve a C grade in English or maths. If we're not forcing them to take GCSE, should we force our young people? As a final point, one of my colleagues has an Art degree, but doesn't have a C grade in maths. She works supporting learners but struggles with maths skills. What do you think about young people continuing to study English and maths? I have been really shocked by the number of fellow students who cannot do simple maths without a calculator or who cannot proof read a simple document without first typing it into a word processor. Unfortunately it's not uncommon. What makes me sad is that people know they lack the skills and say things like 'Oh, I'm rubbish at maths', but aren't prepared to work hard to improve their skills.